Consumer Reports (CR), an independent, nonprofit organization that works side by side with consumers for truth, transparency, and fairness in the marketplace, welcomes the opportunity to comment on the above-mentioned advance notice of proposed rulemaking issued by the Consumer Product Safety Commission (CPSC). As a part of this notice, the Commission informed the public that it is contemplating developing a rule to address the risk of injury and death associated with clothing storage unit (CSU) furniture tipping over. In the following comments, we discuss CR’s recent research, testing, and analysis of the CSU tip-over hazard, and we recommend—on the basis of this work—that the Commission should develop a strong, mandatory safety standard through the rulemaking process that it has initiated. The toll of furniture tip-over incidents on consumers, and especially young children, is severe. According to CPSC data, there have been 195 deaths related to CSU tip-overs between 2000-2016 reported to the agency. In 2016 alone, there were an estimated 4,000 CSU tip-over emergency department-treated injuries to children under age 18, with 2,800 of them to children under age 6. The extensive and preventable suffering behind these figures must be addressed. Given the CPSC’s goals of keeping consumers safe and achieving a nation free from unreasonable product safety risks, the agency has a critical role to play in substantially reducing or eliminating these deaths and injuries. 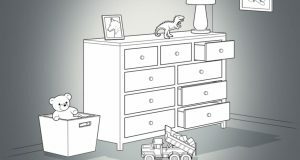 On March 22, 2018, Consumer Reports published a major package of stories on CR.org about the dangers of furniture tip-over incidents to young children. These stories were the product of a year-long investigation into the potential that consumers may not be adequately protected from these incidents by current safety warnings, messages, and voluntary performance standards, especially given the continuing danger from the incidents reflected in CPSC fatality and injury data. Based on our investigation, and the results of the testing of 24 dressers representing a cross-section of the market, CR concluded that the primary safeguard in place today—the voluntary industry standard ASTM F2057-17, overseen by ASTM International—is inadequate, and that it would be feasible for CSU manufacturers to meet a stronger standard that protects more children and covers more dressers. In these comments, CR calls on the CPSC to supplant the furniture industry’s inadequate voluntary standard with a strong, mandatory safety standard, and explains our reasons for doing so.